1,000 People Assemble in Albany for Driver's Licenses for All! New Yorkers from across the state assembled in Albany on March 12 for a history-making Day of Action for Green Light NY legislation ensuring immigrant access to state driver's licenses. Immigrant families, activists and organizations descended onto the steps of the state capitol, urging their elected officials to make 2019 the year for safe, insured and licensed driving for all New York residents, regardless of immigration status. 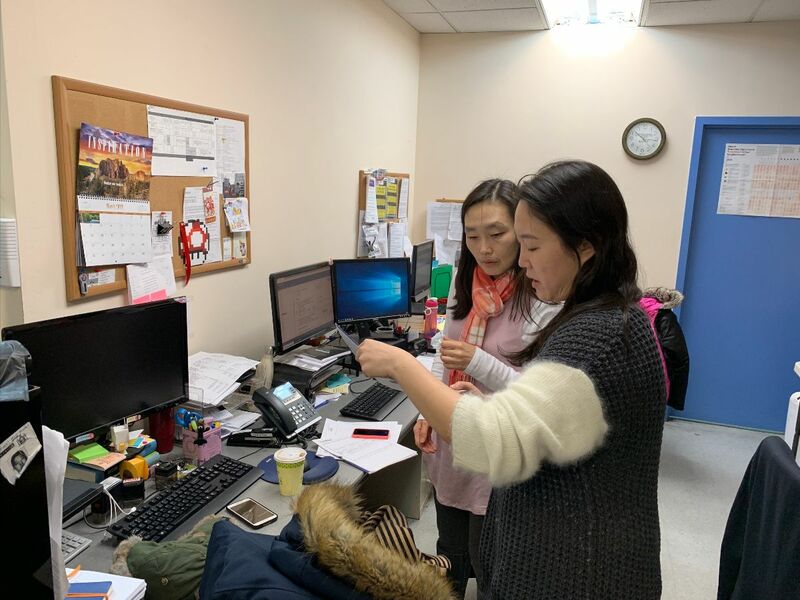 MinKwon endorsed and participated in this Day of Action by sending staff and community members to Albany, dropping off information to elected officials who had not yet expressed their support, and reporting on the rally and march on social media. 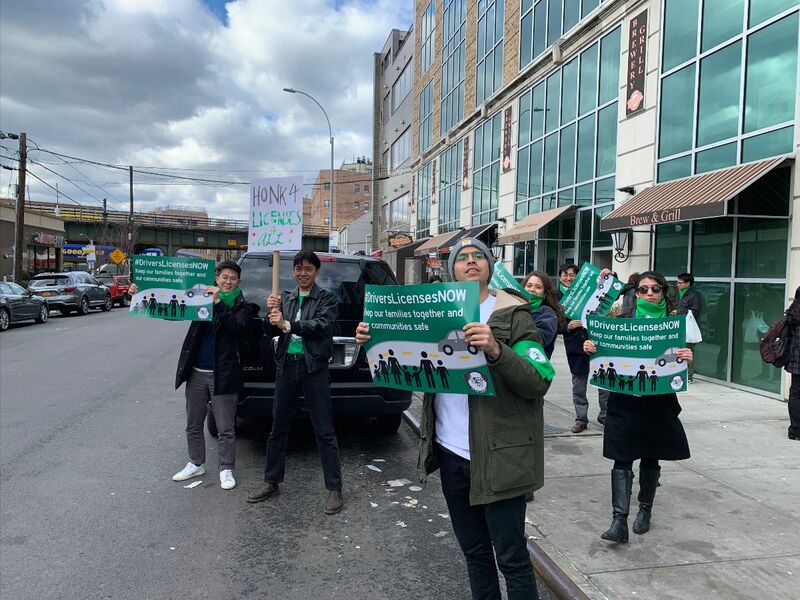 On March 22, MinKwon, CIANA, DRUM and NYIC rallied outside New York Senate Deputy Majority Leader Michael Gianaris' district office in Astoria, Queens demanding him to take immediate action to make Driver's Licenses for All a reality. Advocates have called to both pass Green Light NY legislation and include driver's license funding in the state budget, and Gianaris has influence over the budget-making process. We showed up to his office to demand he put his verbal support for immigrants into state funding and resources! Community Members Helped with Naturalization, DACA Renewal and Tax Clinics! 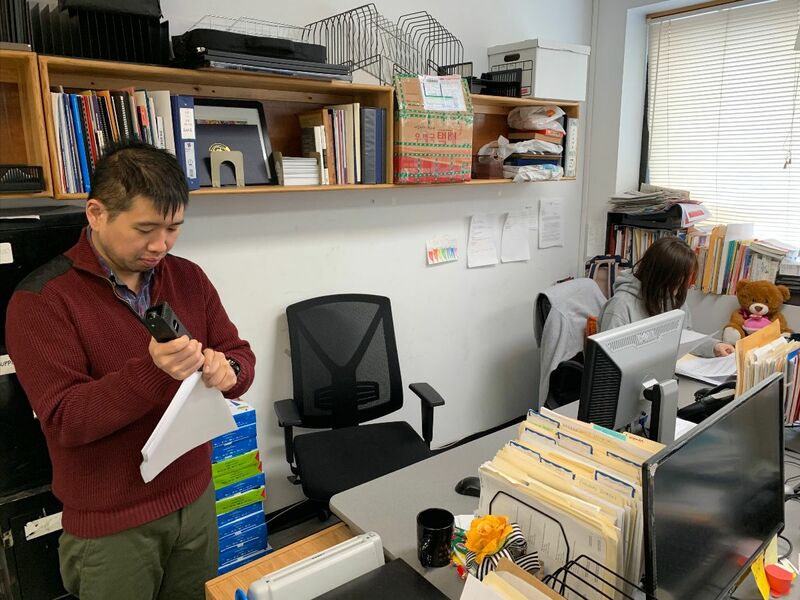 March was a busy month for our Social Services, as we helped hundreds of low-income families and seniors file their 2018 taxes for free at our weekly tax clinics, and successfully hosted our Naturalization and DACA Renewal clinics. 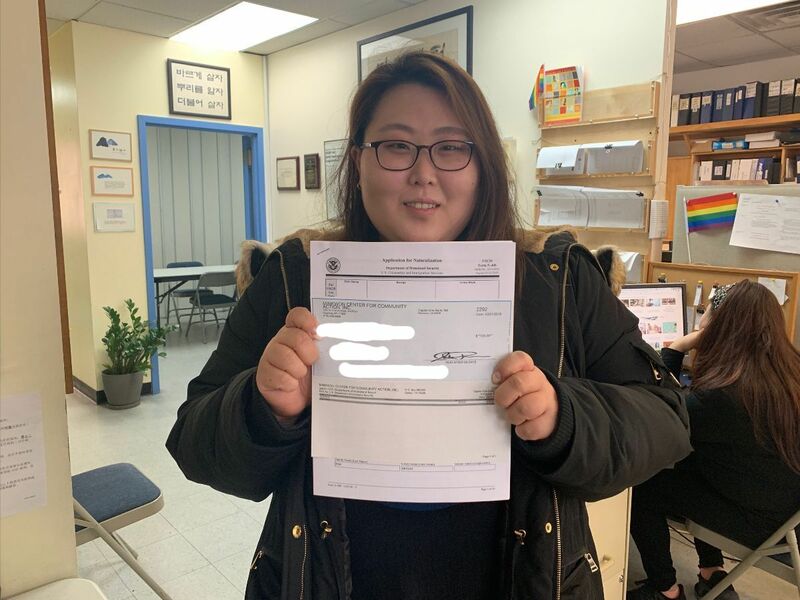 Several community members applying for naturalization won fee vouchers from the New York State Office for New Americans (ONA) that covered their application costs, and some DACA recipients were able to renew their status for free or at low-cost thanks to benefit programs that we helped them apply for. 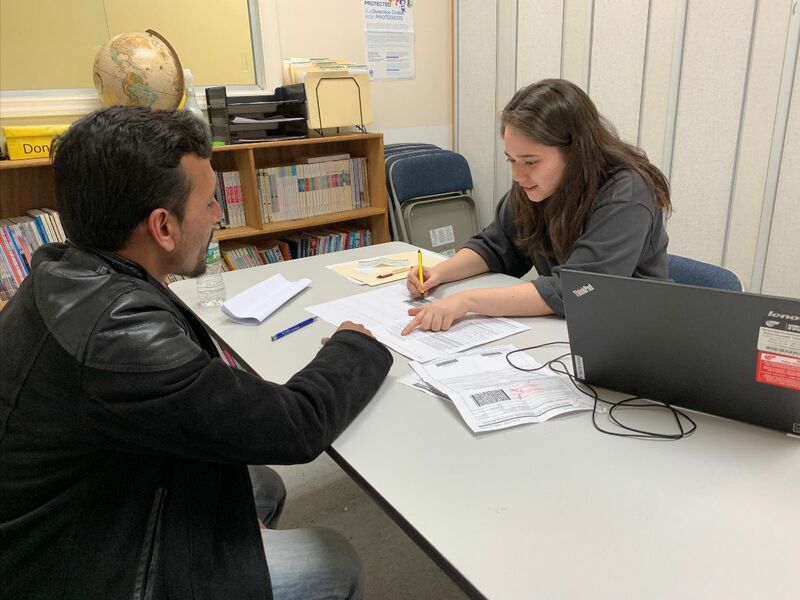 Thank you to ONA for assisting Green Card holders in their path to U.S. citizenship, and thank you to our volunteers who helped us out at our tax clinics! Thirty Tenants Attend First of Three Housing Rights Workshops! 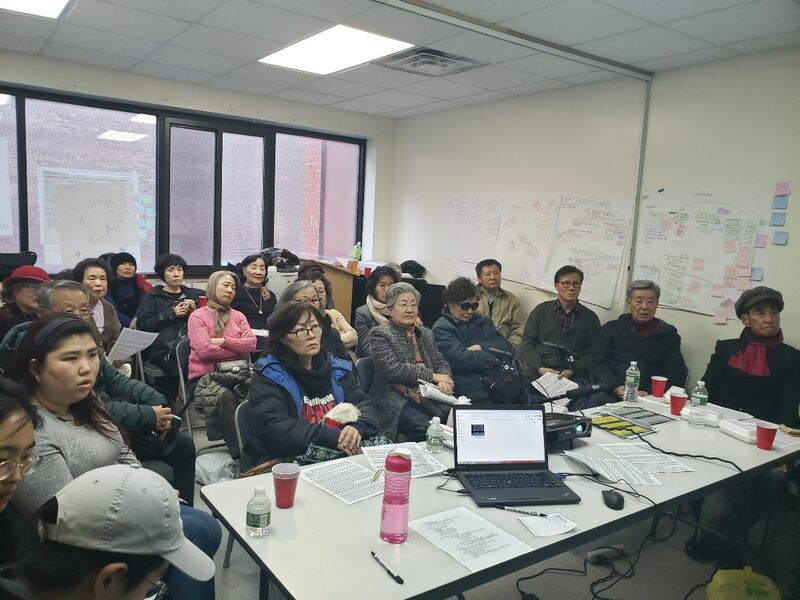 On March 18, we hosted our first of three housing rights workshops for low-income and senior immigrant tenants in our community. We had a full crowd come together and be introduced to Housing Justice for All NY coalition and the Universal Rent Control platform that we are currently advocating for in the NY state legislature. 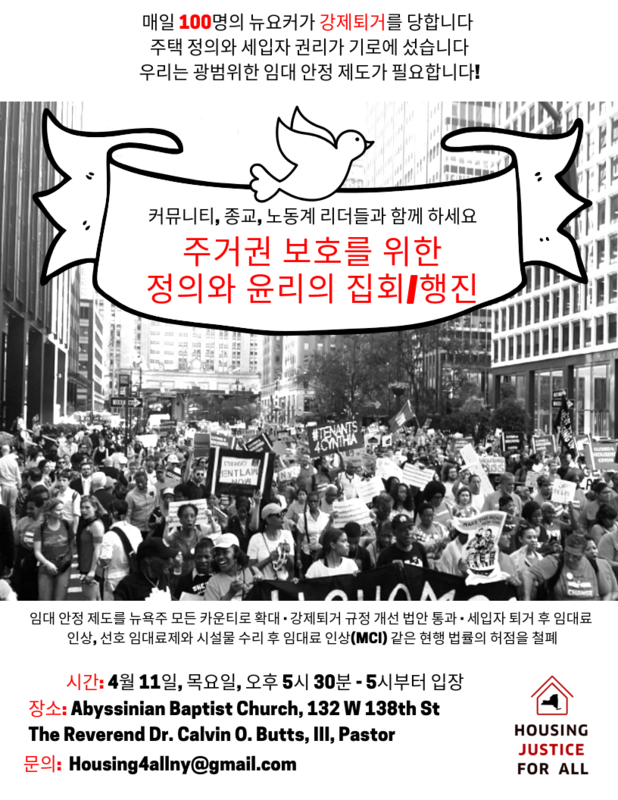 On April 1 we will host a workshop on grassroots organizing and landlord harassment, and on April 15 we will host a Know Your Housing Rights workshop. 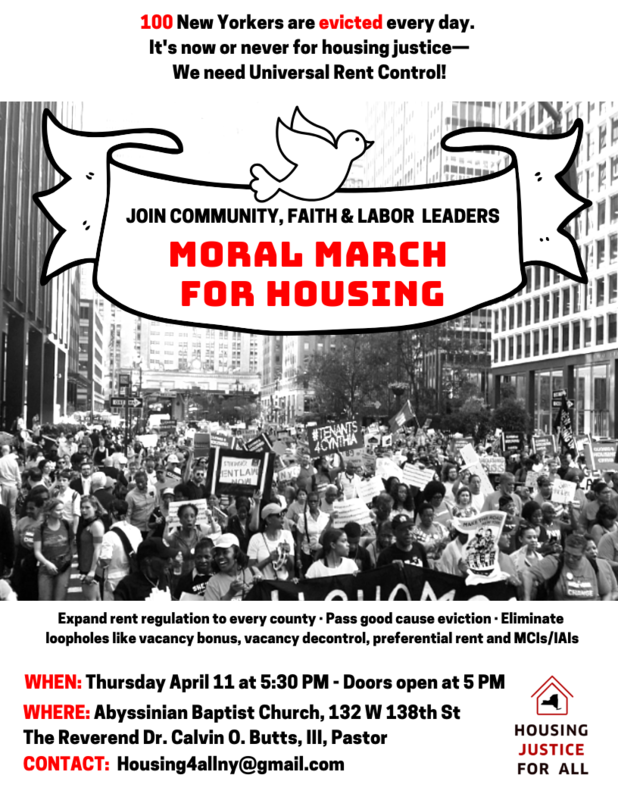 We have also endorsed the Moral March For Housing on April 11 that will gather tenants from across New York City together to demand Universal Rent Control! Help Expand Our Impact With a Donation Today!